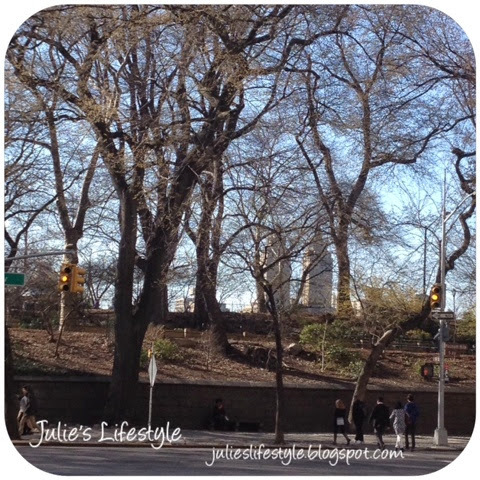 Julie's Creative Lifestyle: WW - Can You Guess What Part of NYC This Is? This photo was taken last week at 86th Street and Fifth Avenue in New York City and I'm looking at Central Park! It's on my list of places to visit someday. It looks like an enjoyable place to spend an afternoon. Great photo Julie. I knew it! :) Lovely! Central Park --- and I've only been there once and it was waaaaay back in high school. but it must be one of those sights you never forget. I was going to say Central Park! I want to go there one day! It's central park. Is this near 5th ave? Nice picture :-) I've never been to New York City but would love to go one day. I've never been to NYC, but my first guess was Central Park. I've seen many pictures of it. It's a huge and lovely park. Hum I would guess Central Park. I have not been to NY before. © Julie's Creative Lifestyle: WW - Can You Guess What Part of NYC This Is?